We’re heading out to the Shooting Gallery for this challenge, so grab a Scoped weapon. A part of the Week 10 challenges, you’ll have to get a score of five or more from three different Shooting Galleries dotted around the map. To activate the Shooting Gallery, you have to stand on the circular platform and wait for targets to appear. A scoreboard is available to track your score, and once you’ve scored five points there will be a little fanfare noise to indicate you have completed the requirements for that gallery. Do this three times to complete the challenge. 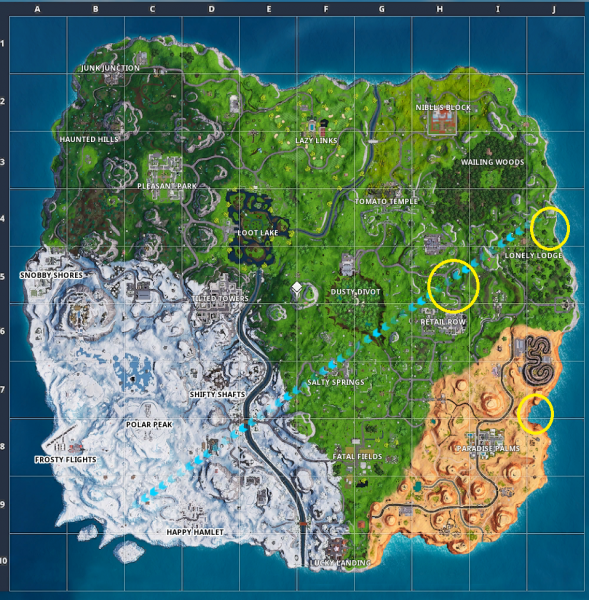 Southeast of Wailing Woods, or slightly Northeast of Lonely Lodge, near the lone tree. North of Retail Row, next to a campsite. Northeast of Paradise Palms, near the cliff edge. 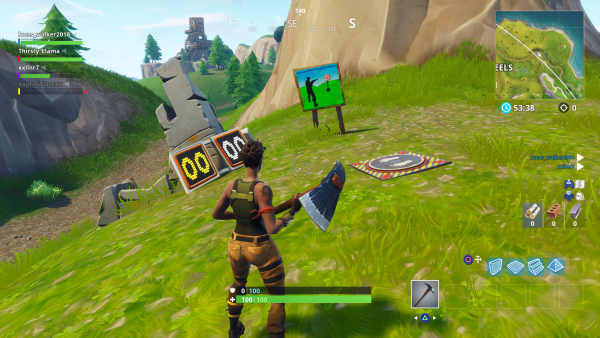 The post Fortnite: Shooting Gallery locations appeared first on VG247.